Also at issue is his work as a “consultant for Wexford Concrete Properties.” Potvin organized that company in 2007 according to the corporate entity documents. Potvin listed his home address on Petrie Road in Cadillac as the initial office, and that address is where the yearly annual reports are sent. Potvin’s name is the only one that shows up in the seven filings for Western Concrete Properties. He is listed as “organizer,” “manager,” “managing member,” “member manager,” and “managing partner” depending on the year. Nowhere is he listed as a consultant. One is left wondering who he would be consulting anyhow. All along Potvin has touted his business experience to convince voters that he could work the same wonders for our government that he worked for Western Concrete Products. However, it appears he has misrepresented the level of success that he had with the company. On top of that, we know his company received a $162,500 fine from the Department of Environmental Quality when they buried hazardous waste about a half of a mile from Cadillac’s well field. George O’Leary was fired after five days in office. 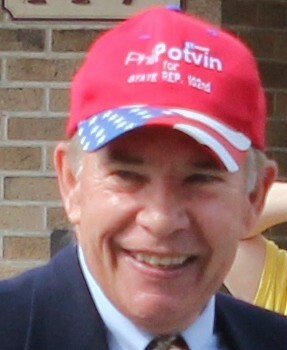 In a few short weeks voters will decide if they should send Potvin back to Lansing for a third term. He hopes to do for our State what he did for Western Concrete Products. That is a scary thought. 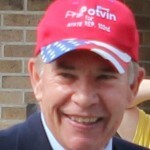 This entry was posted in 2014 Election, Phil Potvin. Bookmark the permalink.